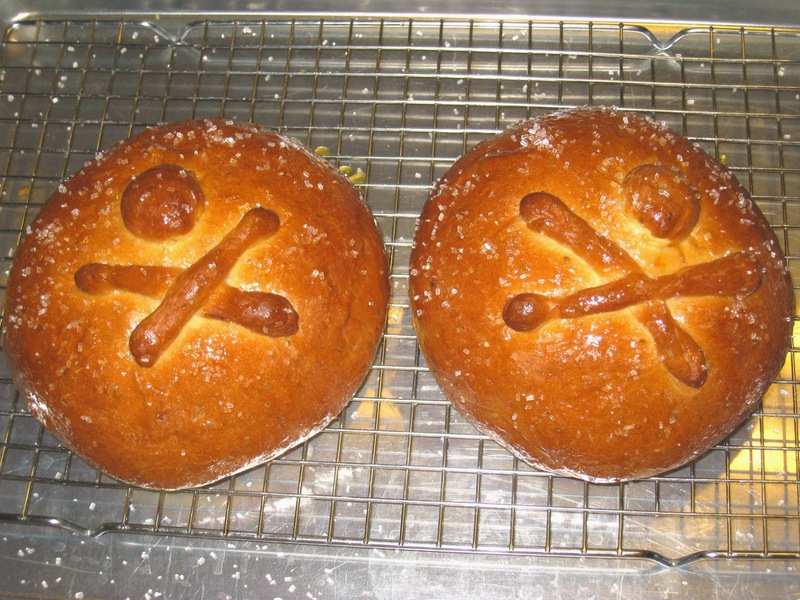 Pan de Muertos is the perfect way to celebrate Halloween. It is traditionally made in the weeks leading up to the Mexican holiday Dia de los Muertos, which coincides with our All Saints Day and All Souls Day on November 1 and November 2. Orange juice, anise and sugar combine to give the bread just the right amount of sweetness so that it can be eaten alone or slathered with butter or cream cheese. I have been meaning to post this since I first started making it a few years ago but I keep forgetting to do it close enough to Halloween. I made it for a friend's Halloween Party and it was a big hit. If you are looking for something different to help celebrate your Halloween, you can't go wrong with this. I used this recipe from allrecipes.com. It was easy to follow and easy to make. You will not be disappointed if you give it a try!